If you’re looking for a fun, and rather different, Single Type (or Monotype) run in Pokémon I would suggest the Poison Type. This is one of the few types that make a feasible run in Generation 1 due to their extraordinarily high abundance and diversity. Ever since then, these toxic monsters litter the games and make a wonderful monotype run in every generation with the exception of Black/White and its sequels. For this article, we will look at the best games for a Poison Run and the most common and/or useful poison type Pokémon you’ll run into during your playthroughs (along with some helpful moves to look out for). As usual, the rules are as stated. You must catch the first Pokémon of that type ASAP and disregard all other types. A Pokémon that evolves into your type may be trained as long as you evolve it ASAP. Only Pokémon you can catch in your game are counted (i.e., no traded Pokémon). And only pre-Elite Four Pokémon are counted for the run. Just avoid Black/White and its sequels. They have low occurrences of poison Pokémon and, depending on your version, don’t appear until after your first gym at least. Honestly, pick virtually any other game in the series and you’ll have a fun time. If you want more information, consult my type chart as seen here. Now, you’re going to watch out for Psychics for most of the games as Poison/Dark Pokémon are exceedingly rare and unfortunately there’s no Poison/Steel or Poison/Psychic yet. Nostalgia paints a rosy picture for all of us so take this for what you will but one of the best Poison-Type games would be Red, Blue, and Yellow. You can get a Bulbasaur as a starter (or get it later in Yellow), catch a Weedle in the forest and from there, pick up the Nidorans, catch a Zubat in Cerulean Cave, pick up a Bellsprout or Oddish if you’re feeling it, and then find a Gastly/Haunter in the Lavender Tower. Later on, you can find your Tentacool in the seas, Venonat in the Safari, and finally catch a Muk or Koffing in the Cinnabar Mansion. Lots of good choices! But what if you hate Psychics and realllly want to defend yourself? 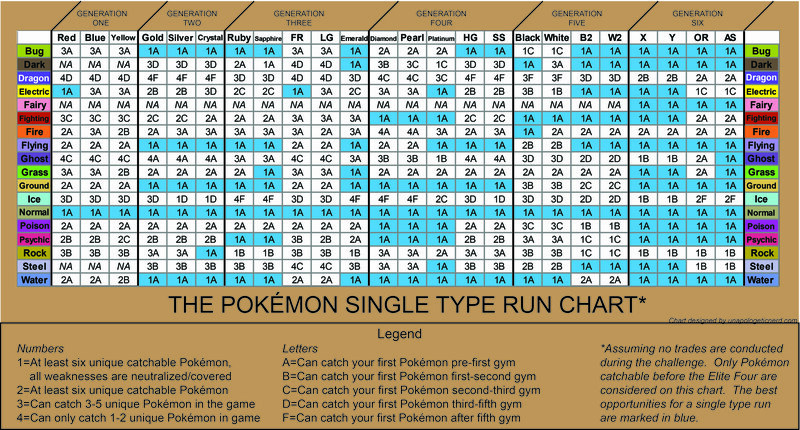 Generation 6 and 7 will do you wonderfully well along with Diamond/Pearl/Platinum. You can catch a Poison/Dark pokemon in all these games like Drapion, Alolan Muk, or Skuntank. I think if I had to choose I would go for Pokémon Y as you can catch a Skrelp and evolve it into a Dragalge! I love this Pokémon but it’s unfortunately rare. You can also get a Bulbasaur (with a mega bonus too! ), Venipede, Croagunk, and Zubat fairly early on so that already gives you a good wide base of moves and abilities. Later on you can catch a Nidoran, Stunky, and Tentacool which further expands your movesets. Drapion fans are in luck as Skorupi is catchable with the setback that you won’t find one until late in the game. I’m not even counting other Poison Pokémon as well! So you got a lot of great choices going into it. Considered one of the most pestilent, annoying Pokémon, Zubat, and its evolutions, can be found in every single game naturally except Black/White. There’s a reason many players dread going into the caves! But to the Poison Type fan, Zubat is a blessing. Not only are they usually found early on but they offer a valuable immunity to Poison’s hated Ground weakness. Zubat’s final evolution, Crobat, is also a solid Pokémon to train. Incredible speed and a wide range of support moves makes Crobat a great partner when tackling your respective region. Oh, and Crobat has the highest stats of any non-Mega, non-Legendary Poison Pokémon. That’s pretty awesome! Plus, Crobat gets a subjective boost as you need to love and support your bat to be its very best! Love it. Similar to the ubiquitous Zubat, you can find Tentacool in every game except Black/White and its sequels. Unlike Zubat though, Tentacool does not neutralize any weaknesses but the trade-off is pretty great. Tentracruel is a great wall that has decent special attack. Teaching Tentacruel Surf and Ice Beam is a smart way to handle Ground types (and Giga Drain as well in some games!). Tentacruel also learns Toxic Spikes which really hones in that Poison mentality. Unfortunately from here, Poison Pokémon are more scattered throughout the games so any I list from now on must be taken with exceptions. That being said, these four itchy and allergenic Pokémon you will more than likely find on your journey. Grass/Poison Pokémon serves as a decent wall for different types and offers a nice neutralization towards Ground moves. Poison status and Leech Seed/Drain moves can make short work of walls while gaining you a nifty HP boost in return. Venusaur is obviously the top choice here as it’s the strongest of the four and, if you’re playing in later generations, can go Mega. That being said, if you want to venom-up your creepy Poison team, I would get a Victreebel ASAP! The Poison/Dark combo is by far one of the best type-combos in Pokémon. And if you’re lucky to play a game with either of these guys then you’ll have a swell time. Of course, that Dark-half makes them immune to any Psychic attacks so when you’re going up against a Psychic-trainer then these guys will make short work of them. Of the two, I honestly would pick Alolan Muk mainly for that amazing design and great moveset (plus one of its abilities is Poison Touch which is superb for wearing down your opponent). Drapion is still amazing though and if you give it a strong Bug move like X-Scissor, then you got your Psychic-bases covered. As much as I love the Nidorans, they are unfortunately not that common in the main games; Kanto, Johto, and Kalos are pretty much the main regions you can catch them. That being said, they are great for their nice stats, lovely designs, and a STAB Earthquake bonus. The Nidorans also learn a bunch of moves through TMs like Thunderbolt, Flamethrower, Ice Beam, and Surf. Finally, they both learn moves naturally that can combat weaknesses like Nidoking’s Megahorn and Nidoqueen’s Crunch (but only for Generation 3 and on). Bug/Poison Pokémon are honestly a mixed bag. On the one hand, they’re (usually) available early on, they neutralize Ground weakness and have a STAB, super effective move against Psychics. On the other hand, their stats range from average to poor and what Bug moves they do learn are usually weak (or in early Generations practically nonexistent). 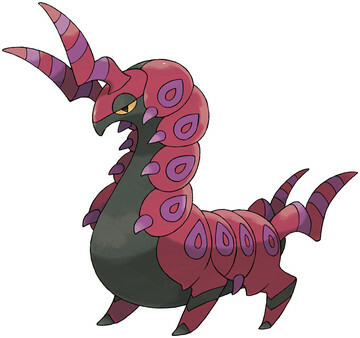 Scolipede is the exception to this rule, although mainly available in Black/White and X/Y, Scolipede is a fast, hard-hitting Bug Pokémon that can learn Megahorn naturally and learn some decent TMs, like Earthquake. If you can’t catch a Venipede but still want a Bug, go for the likes of Venomoth or even Dustox. 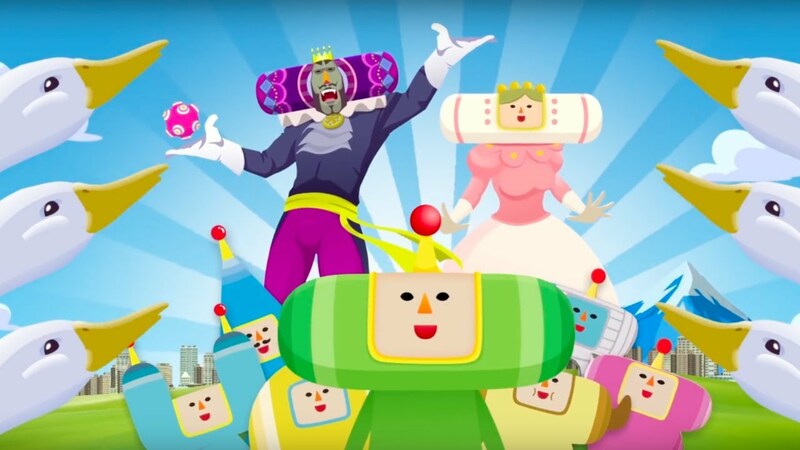 In later generations, they can learn Giga Drain along with Bug Buzz and the incredible Quiver Dance. Elite Four several times and I love that creepy ghost. So if that doesn’t bother you then good! Second, the game appearances. Gengar has a spotty record of locations as it’s entirely absent from Hoenn and basically nonexistent in Unova. Other than that you’re looking at a Pokémon that surprisingly has some early-in-game locations as seen in Johto and Sinnoh. There’s also a weird sticking point for its ability. Gastly and Haunter have Levitate which is amazing for those Ground moves. Gengar though lost its Levitate ability in Generation VII so be prepared to suffer a OHKO from an Earthquake attack as Gengar’s defenses are low. However, Gengar is a beast! He can learn an amazing array of moves like Shadow Ball, Psychic, Thunderbolt, Dazzling Beam, Energy Ball, and the list goes on. He’s fast as well and that special defense is pretty good. If you can get your hands on a Gengar you’re going to have a stellar time on your Poison Run! Dark Pulse-Level up for Gengar Line, and a large number of Poison Pokémon via TM. Energy Ball-TM for Grass/Poison Pokémon and Venomoth, Dustox, and Gengar. Shadow Ball-Leveling up for Gengar line. TM for many Poison Pokémon. This entry was posted in Pokemon, Pokemon Single Type Run and tagged Monotype Run, Poison Type, Pokemon, Single Type Run on April 22, 2018 by Andy. 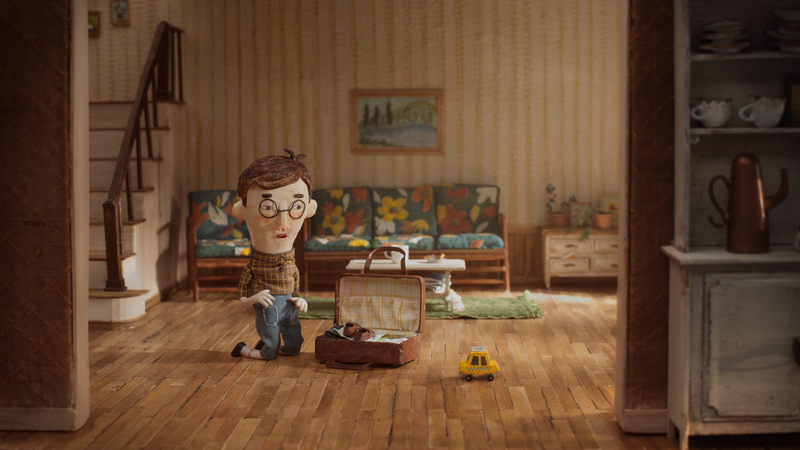 I’m back again with another article on the Oscar Nominated Animated Shorts. 2018 was a satisfying year for shorts as all the nominees were entertaining and moving in their own way. Although Lou’s animation and Garden Party’s ending were fantastic, it’s the characters, humor, and voice acting of Revolting Rhymes that make it my pick for best ONAS of 2018. Let’s dive in. The weakest of the five shorts although that does not mean I disliked it. Far from it, the pencil animated styles stood out strongly against the plethora of computer-model shorts from this year and the narrative was definitely it’s own thing (plus the score was quite moving thanks to John Williams). Dear Basketball, which focuses on Kobe Bryant’s basketball career, makes it this year’s memoir short along with Negative Space. Although it was nice, it falls flat for two main reasons. The first was the deflated story. There wasn’t much conflict or pivotal moments to keep the story going. What’s more, this memoir short was too positive on Bryant’s basketball career and did not bring much in the way of sorrow or negative memories. It definitely paints Bryant in a positive light which makes it feel more self-adorning, and unfortunately egotistical, than self-reflecting. I will say the scene when Bryant mourns his aging body was great as the style shifted jarringly and really communicated how debilitating that was for him. Beyond that, nothing much else to say. The other memoir short also stood out for its style and the premise and, unlike Dear Basketball, had a healthy mixture of positive and negative memories. Unfortunately, Negative Space’s story felt a bit clipped. At first I laughed at the line “there’s too much negative space” in the funeral scene but then I was astonished when the credits rolled after that. What I took as a comedic line was instead a somber reflection at how careless the coffin was created for the protagonist’s father. With such a quick ending, I felt cheated, as if the story was going somewhere but then decided to pull the plug half way through. With that said, I do like how much thought went into animating the background and the luggage as it really highlights the unique father-son bond the main character has. What an ending! This was Mary’s favorite and I liked this one as well. It took me awhile before I realized what exactly was going on. Eventually, I was thinking an apocalyptic event happened and nature was reclaiming lost territory. My prediction was almost completely wrong but I’m happy that I was. What I find so compelling about this short are the frogs as they look so realistic but…not? It’s like the frog-version of the Uncanny Valley which I find amusing to think about. I think this quasi-realistic quality helps make the shocking ending great as the bloated decomposing man is so repulsive against the cute and adorable antics of the frogs. So funny. Out of the five shorts, I predict Lou will win the Oscar. The story is nothing to write much about but Goddamn is Lou’s animation fantastic. You could tell the animators tirelessly planned and animated Lou’s movement to the insanity that his anatomy would let him. The whole chase scene with the kid was great, I could watch that scene dozens of times. Other than that the only other thing I have to comment is, did anyone else experience an existential crisis when the kid took all of Lou’s belongings and gave them to the kids? Like, where did Lou go? Is his personality split up? Is he gone? Does he come back when the kids eventually lose their stuff again? The toys in Toy Story got nothing on Lou. Entertaining and energetic short but that’s not enough to make it my favorite for this year. I went to see the shorts with Mary and my friend Kaitlin and all of us agreed that this was one of our favorites if not the favorite of the five shorts. Where to being on it? First, the short’s length was spent fantastically as no minute felt wasted. The characters, the pacing, the style, the voices, the humor all coincided perfectly to match Roald Dahl’s twistedness. There are so many things I loved about Revolting Rhymes. Like how the Mirror was animated very different compared to the rest of the characters indicating otherworldliness to him. Red and Snow White’s friendship felt believable and the Wolf’s revenge was not hackneyed or farcical. And unlike Negative Space’s ending where I felt cheated, I felt satisfied but intrigued by Revolting Rhymes’ ending. Curious how the story could continue but content if this was the true ending. Not to say that it is, mind you, as it is Part 1. I really want to watch Part 2 and see how everything plays off. If there’s one major criticism I had about the short its Red and Snow White’s “friendship.” Yes, I love their relationship but come on, they’re totally in lesbians with each other. Don’t give me this bs they are friends. They should be married. Sorry it just seems so painfully obvious they love each other but the short says otherwise. Come on. This entry was posted in Cartoons and tagged Animated Short Films, animation, Cartoons, Dear Basketball, Garden Party, Lou, Negative Space, oscars, Oscars 2018, Revolting Rhymes, Short Films on March 3, 2018 by Andy.